Since 1914, children have been growing flowers, vegetables, and herbs and learning firsthand about the natural world in Brooklyn Botanic Garden’s Children’s Garden. 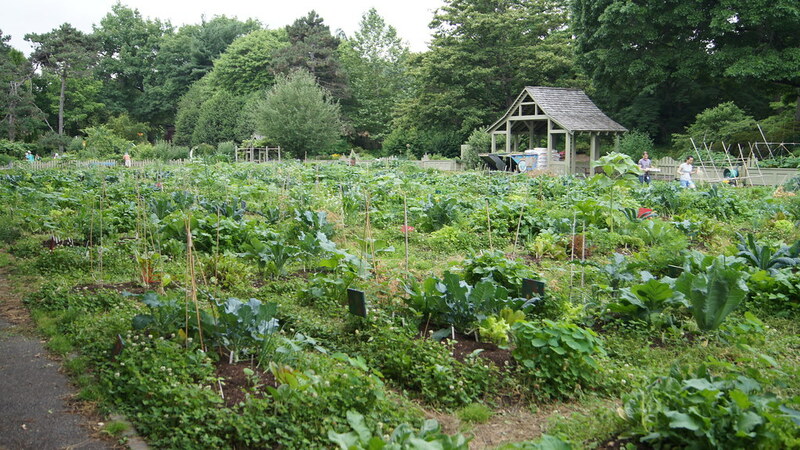 With a focus on greening the urban environment through education, sustainable practices, and stewardship, BBG encourages young people to be participants, not just spectators, in community horticulture and conservation. Here, children 2 to 17 years old can plant their own crops and flowers and harvest them under the guidance of garden instructors. Younger children combine planting, tending, and harvesting with craft making and creative play. For older children, lessons in science and urban ecology accompany the gardening, and teenagers who successfully complete the program can go on to become junior instructors. Over a thousand youngsters now garden in the Children's Garden every year. Budding gardeners 2 to 17 years old can plant their own crops and flowers. See what kids are up to in BBG's Children's Garden (4:08). Alumni of the Children’s Garden often stay connected while furthering their professional development in these seasonal positions for emerging educators. In 2014, Brooklyn Botanic Garden was awarded a National Medal for Museum and Library Service. Recognizing outstanding service to the community, the honor was presented on the occasion of the 100th anniversary of the Children's Garden, the first program of its kind in an American botanic garden. Today, BBG's Children's Garden remains a vital community resource, emblematic of the Garden's impact on generations of Brooklyn families and continued commitment to increasing environmental awareness. The Children's Garden, Photo by Alexandra Muller. 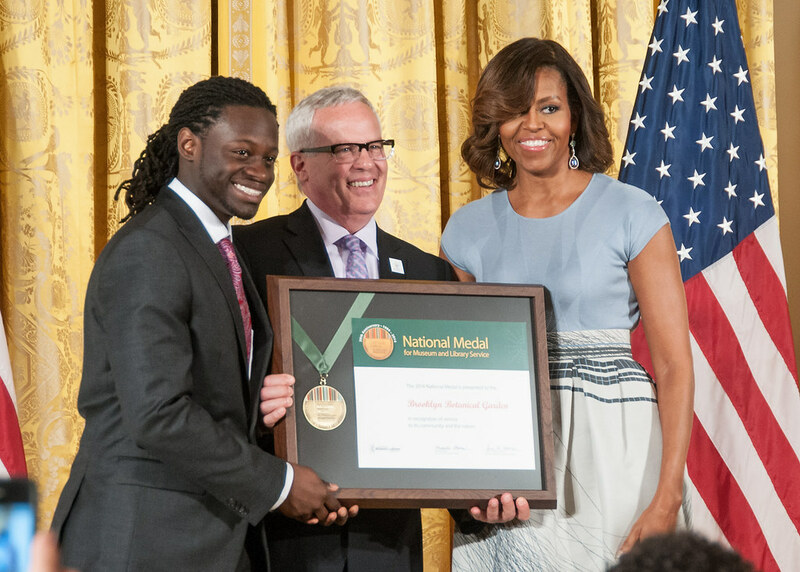 Brooklyn Botanic Garden received a 2014 National Medal for Museum and Library Service, presented by First Lady Michelle Obama at an event in the White House on May 8. Accepting the medal on behalf of Brooklyn Botanic Garden were BBG president Scot Medbury and Chidi Duke, an instructor and alumnus of BBG’s renowned Children’s Garden program. Photo courtesy of IMLS.